6 feet of 8-gauge wire. 6 feet of 12-gauge wire. 1 male plug. 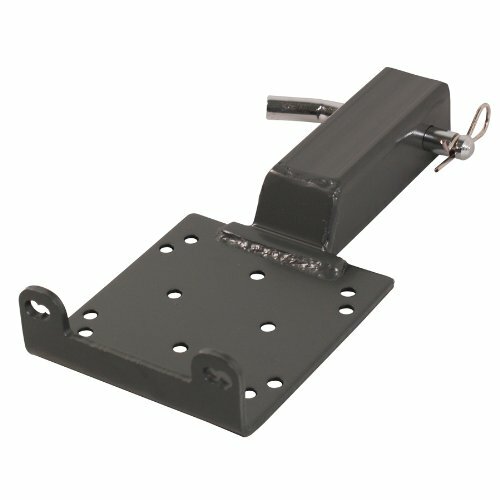 Whether your winch is a Warn, Superwinch, Gorilla, Ramsey, Moose, Bear Claw, or virtually any 2 or 4-bolt winch – you can mount it to the rear of an ATV or UTV, the front of a tractor, anywhere a 2" receiver can be found with this universal receiver hitch mount. 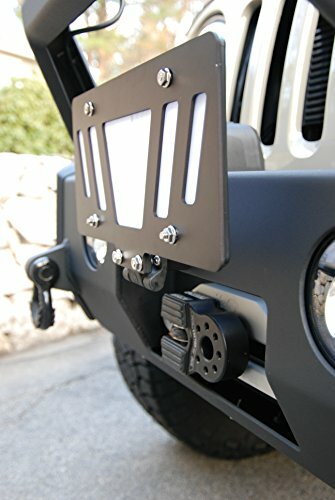 This mount works on any make and model of UTV or ATV with a 2" receiver hitch. It works on almost all winch models, and it's pre-drilled to accommodate the classic 2 and 4-bolt styles, with pre-drilled holes for roller or hawse fairleads. 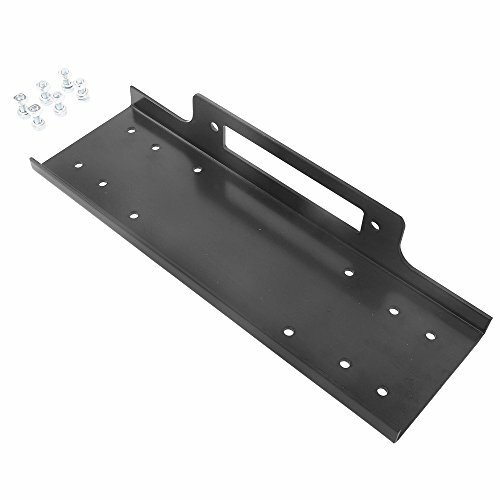 Heavy-gauge, powder-coated steel mounting plate is designed to hold up to 3600 lb. winches. Plate Dimensions: 5-5/8" wide x 6-1/8" length. Two-year replacement warranty. 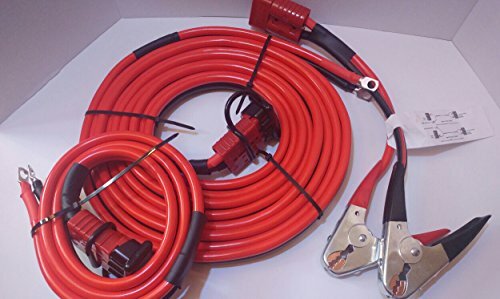 Specification: Voltage: UL rated at 600 volts DC or AC Terminal pins diameter: 0.258" / 6.55mm Size: 3-1/8" x 2-1/8" x 1" Color: Red Capacity: 350 amps Compatibility: 2, 3, 4 Gauge Description: A robust and efficient "connect & disconnect" connector kit for a winch, remote battery charger, trailer or other electrical devices. Permitting over 10,000 connect and disconnect actions. It's made from polycarbonate, a versatile and tough plastic that offers great strength combined with light weight. The bottom of the plug is lined with rubber to protect against dust, moisture and corrosion. 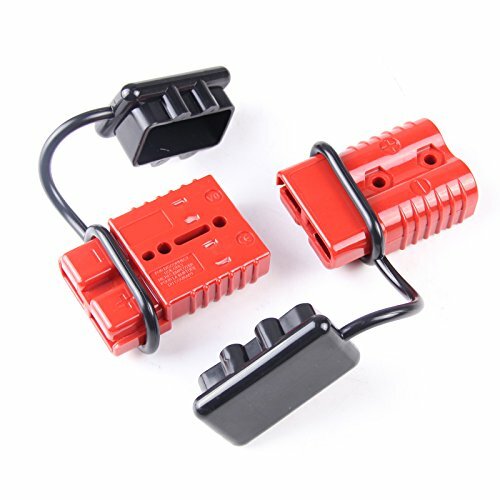 The connectors are ideal for 12-36 volts DC low-voltage, and low or medium direct current use. The ends are designed to connect in only one direction, making it impossible to connect the wrong polarities to one another- for increased safety and convenience. The terminal pins inner diameter is 0.258" and it can accept wires from 2 to 4 gauge. Installation and operation are very straightforward- simply insert the wires into the terminal pins, then fuse or crimp them (make sure you use a crimping tool and not a hammer). Then insert the terminal pins into the connector housing and lock them in place. 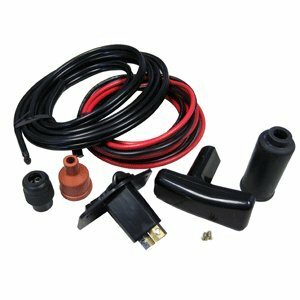 Package Includes: A pair of connectors (2 connector ends, 4 terminal pins, and 2 rubber boot caps). Flipster "Universal" - License Plate Mounting System Now you can find all the best features of our original "Flipster" in a universal fitment system. The Flipster "Universal" has the versatility to mount to any front or rear bumper (we recommend a solid flat metal mounting surface). By simply drilling two 1/4" holes you can mount your license plate anywhere you see fit, and have the ability to flip it up or down! The Flipster "Universal" works great for those off-road bumpers with recessed winch fairleads or trailer hitches. 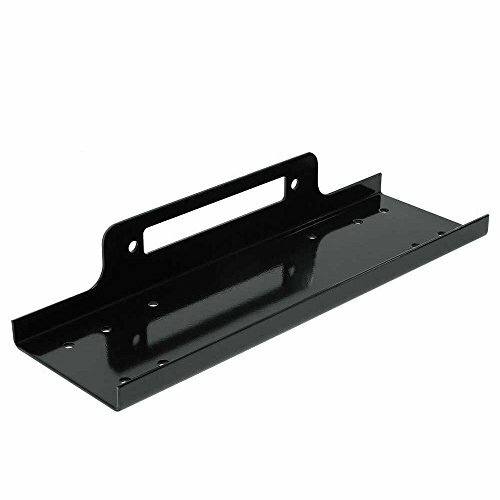 The friction hinge will hold your license plate in any position. 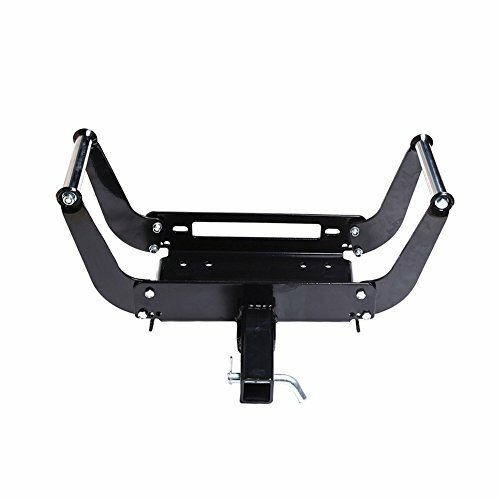 Ultra-Tow Universal Beam Winch Mount with Winch - 1600-Lb. 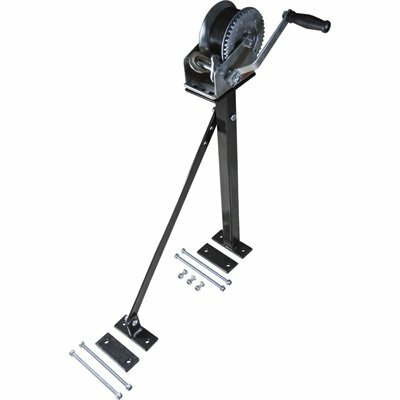 Looking for more Universal Trailer Winch similar ideas? Try to explore these searches: Kansas Form, Blower Unit, and Built In Compact Oven. Look at latest related video about Universal Trailer Winch. Shopwizion.com is the smartest way for online shopping: compare prices of leading online shops for best deals around the web. Don't miss TOP Universal Trailer Winch deals, updated daily.